Check back every few weeks for a new featured book! "Ask not what I can do for this country, but ask what you can do for PRESIDENT SQUID!" Explore the ideal qualities of leaders, diplomats... and giant squid? Squid knows all about being president. It means living in a big house, doing all the talking-- oh, and having a tie is crucial. He's definitely ready for all that power!! You should step right up and cast your vote for President Squid! Or should you? ​ It seems like any other winter day in Montgomery, Alabama. Mama and child are riding where they are supposed to-- way in the back of the bus. The boy passes the time by watching his marble roll up and down the aisle with the motion of the bus, until from way up front a big commotion breaks out. He can't see what's going on, but he can see the policeman arrive outside and he can see Mama's chin grow strong. "There you go, Rosa Parks," she says, "stirrin' up a nest of hornets. Tomorrow all this'll be forgot." But they know differently. 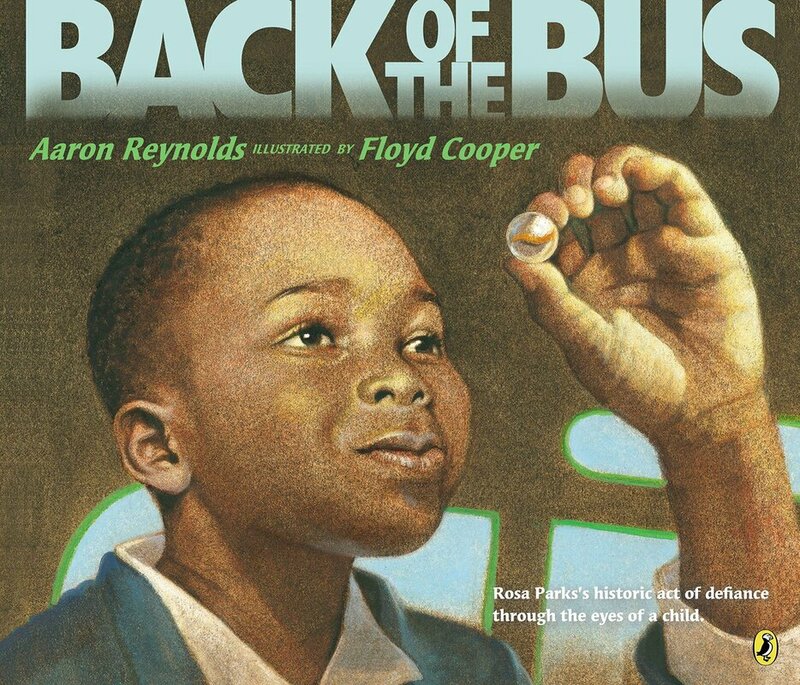 With childlike words and powerful illustrations, Aaron Reynolds and Coretta Scott King medalist Floyd Cooper recount Rosa Park's act of defiance through the eyes of a child-- who will never forget.